Any reader of Gwyneth Paltrow’s GOOP newsletter knows the woman loves to name-drop. 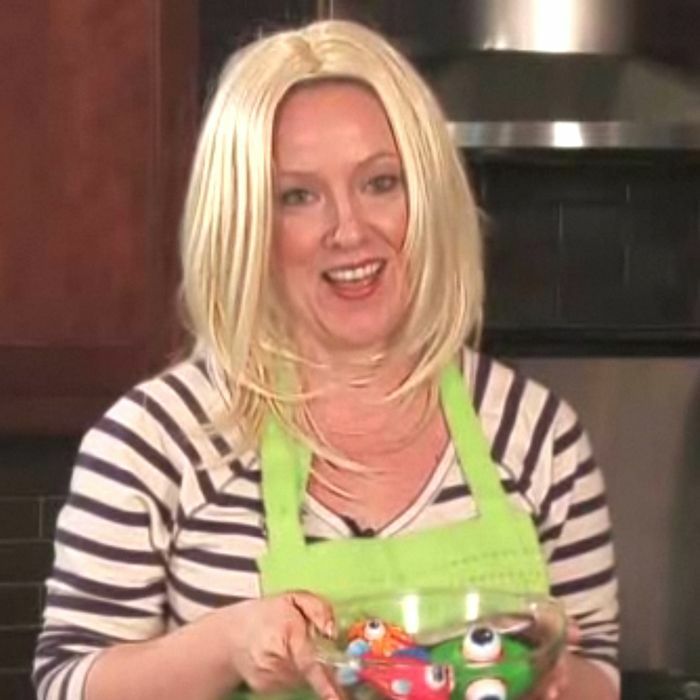 So of course, over on this Funny or Die spoof, she can’t even make a frittata without reminding us all that she dated Brad Pitt, is married to Chris Martin, and is pals with Mario Batali and Cee Lo Green. And Gwynnie would never make any ordinary omelette: This one’s done with Fabergé and dodo eggs, plus salt from “adjacent to the Dead Sea Scrolls.” See for yourself straight ahead.